After a lovely days fishing on Sellicks last Monday, I was back for another go today although the match was on Longs this week and I’ve struggled on this lake a bit of late. There are a lot more small fish than there are in Sellicks and trying to fish with expanders is a nightmare and banded pellets just seems to result in very odd silvers and the inevitable carp. 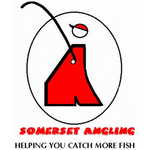 There was a good turnout of 21 anglers including a few faces I hadn’t seen before and with a match on Sellicks as well, the car park was pretty full. I was greeted by Adie Bishop with the usual ‘Why don’t you bugger off back to the river’ (or words to that effect) and he’s also started calling me the River Ninja which made me chuckle. When Pete announced the draw, I was fairly near the end of the queue, Glynn came out of the hut looking happy with his peg, number 34, a great skimmer peg. I pulled out peg 28 and was fairly happy with that as it’s a decent area. For company I had Rob Birch on my left on 29 and Ray Wickham was my right hand neighbour on peg 26, both would also be fishing for silvers which I didn’t think would do any of us any favours. I set up the usual 10 x 11 MW F1 Slim to fish at 10 metres and a 0.4 gram Malman Pencil to fish at 5 metres. I was ready with a few minutes to go when Adie Richards brought me down a coffee as he’d made me tea by mistake earlier, what a lovely man, cheers mate. On the whistle I cupped in two balls of groundbait at 10 metres angled to my left and then half a pot of micros at the same distance but straight out in front and the same angled to the right, I also fed a similar amount of micros at 5 metres. 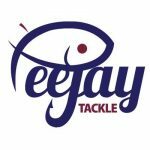 I started on the middle long line with a 4mm expander on the hook, Rob was into a carp quite quickly and then I’ve had one and then Ray did as well. I had another small carp quite quickly and hoped it wasn’t a sign of things to come. Ray then had a nice skimmer and not long after Rob had one as well but when my float went under it was a 2oz blade! Rob had a couple more decent skimmers and was also using 4mm expanders so I thought it would only be a matter of time before I started getting a few as well. Ray was getting odd skimmers and added a couple of nice crucians too and I was getting battered both sides. The wind was making presentation difficult and when I did get a bite it would be from a small fish which would invariably drop off on the way in! Rob was having the same problem with small fish taking his soft pellet so he switched to hard banded pellet and had a couple more decent skimmers, I tried it and had another blade followed by another small carp and I just knew it wasn’t going to be my day. 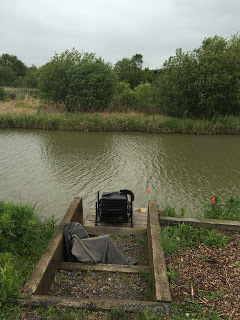 The middle part of the match was a real struggle for me and Rob slowed up as well although Ray was still getting the odd smaller fish and he’d also had another couple of crucians. I tried the 5 metre line but with no bites I didn’t know what to do next. I had another small carp from the middle 10 metre line so with just over an hour left I decided to concentrate on 5 metres. Both Rob and Ray were still getting odd silvers so it looked like I’d been properly ‘Chip Shopped!’, I added some more blades and had a couple of pretty Koi type carp and then with half an hour to go I’ve finally had a nice 12oz crucian which was the highlight of the day. To be honest I was quite glad when the final whistle went and I didn’t think I’d be troubling the scales today. I ended with seven carp for around 10lb and that crucian plus a few bits for maybe 2lb but as a famous angler (Kevin Ashurst?) once said ‘If you don’t weigh in, you’ve caught nowt’. I thought it would be close between Rob and Ray and the word on the bank was that Glynn had also done well so our side bet would be quits as he owed me one from last week. This lovely little crucian was the highlight of my day! I packed up and didn’t catch up with the scales until they reached Ray, his silvers weighed 13lb 8oz which would be there or thereabouts today, a quick glance at the weigh board revealed the top weight so far was 48lb and with there being quite a few 20-30lb weights I didn’t bother the scales. Rob came close with 11lb 12oz of silvers and then Martin Addicot had 28lb 11oz of mainly carp from peg 31 which just beat Alvin Jones on peg 32 who had 28lb 5oz. 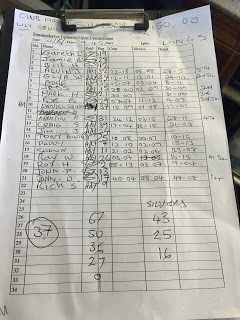 Glynn had 12lb 1oz of silvers to go into second place and then Adie Bishop had 5lb 7oz of carp and a few silvers for 3lb 4oz and it had been hard going for quite a few anglers today with several not weighing in. So a really disappointing day and I just can’t get my head around Longs at the moment and I had neck ache from watching Rob and Ray catch all day, it was like being at a tennis match! Anyone for chips!!!! 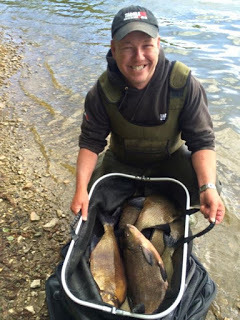 Chard had their first match of the Reservoir League today and some fantastic bream weights were recorded, leading the way was Tackleuk’s Scott Russell who drew peg 31 and caught 44 bream for a staggering 193lb. Les Braunton was second with 123lb and Graham Pepper was third with 83lb. 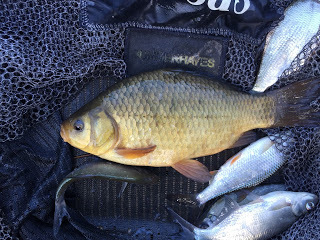 Nice crucian – don't forget to record it for the bloggers challenge!